Only 3 steps for Getting an Entry into Vietnam! No more visiting & queuing at embassy! Just sit at your comfortable home to apply online. We do the work to send an e-Visa to your email. 100% risk-free. Only charge for successful application. Proceed your e-Visa Application Form online. We take care the rest to send you link to download your e-Visa. We make a quick and easy process for your application, save your time and frustration! 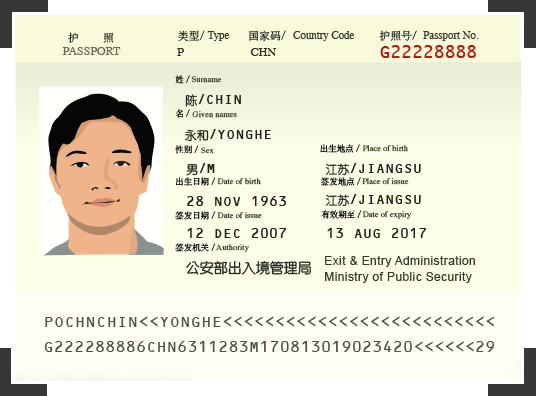 An electronic visa (E-visa) is one of the several visa types issued by the Vietnamese Immigration Department to foreigners intending to enter the country. eVisa is good for single entry, stay for less than 30 days. Can i stay for more than 30 days? eVisa allows to stay for staying in Vietnam 30 days maximum. In case you want to stay for more than 30 days, please choose other types of visa option available in the form. eg, 3 month, 6 month or 12 month visa. Can i get multiple entries? eVisa allows to enter and exit the county only once and it will be invalid after exit the country. If you want to entry / exit for multiple times, please choose other types of visa available in the application form. Can i get refund if my visa is denied? Once your visa application is processing, don’t worry about what-ifs. Our support team covers you for eligible entry visa. Why we have to pay for bad or failed service? Only successful applicants are charged. 100% risk-free. e-Visa applicants are requried to up load recently taken photo & a copy of passport page which contain personal data. Take an image with a camera or smartphone against a light plain wall or backdrop, upload it then we will make it meets requirements. Still have questions? Let our experts answer it. We are available 24/7 and eager to help. Feel free to ask us your question! Please note that this is a Non-Government. We are commercial website. We provide services related to Vietnam visa such as: e-visa, Visa On Arrival for Tourist & Business purposes, work permit & Temporary resident, Vietnam visa extension and renewal, support to get visa on arrival at Vietnam international airports, airport fast-track services. e-visa.vn - a member of Vietnamimmigration.org - Visa & Immigration Services for Vietnam. We are not Government website.